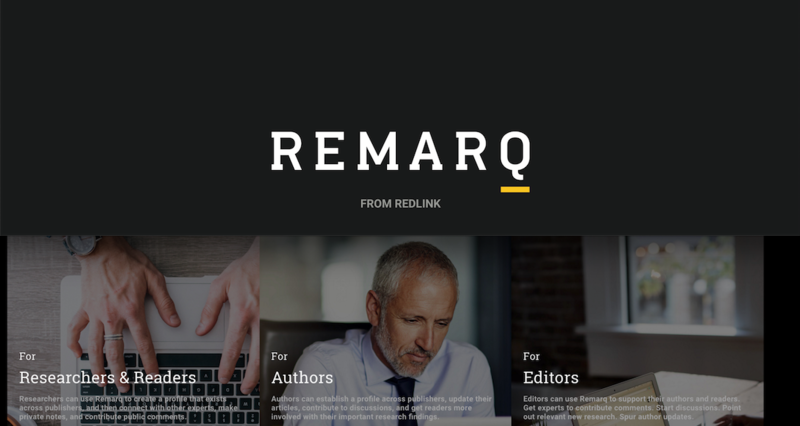 Having analyzed the market and developed a leading-edge solution, the Remarq™ team has developed a set of 11 questions publishers can ask themselves when considering how to bring scholarly collaboration to their users and sites. Does the solution require users to use their actual identities? Does the solution allow authors, editors, and users to assert copyright over their contributions? Is the solution user-centric or content-centric? Does it provide editors and publishers with the proper control points? Does it support legal article-sharing?